Hair extensions are considered as ultimate hair accessories as they add more beauty, style and a new look to your overall persona. It is also a fact that hair extensions are used by celebrities as well as the common person, thus giving them credibility as a tool that is widely-used for personal enhancement. Human hair extensions have been used for centuries and the documented evidence of their use dates back to ancient Egypt. It is also widely believed that Cleopatra used hair extensions, and they were also used extensively in medieval Europe. If you want to know more about hair extensions, how to clip them properly and what type of styling can be done, here are some basic and interesting facts about them. Hair extensions are made in a very interesting manner. Extensions, miniature tufts of synthetic or human hair, are glued onto an individual’s scalp or woven into real pieces of hair close to the scalp. They make an individual’s hair emerge fuller or longer. But they should not be cut. This will allow them to last longer and remain fuller. Natural human hair extensions are made from the hair collected mostly from India and other developing countries. In India, people mostly shave their heads due to religious reasons and hair is then stuffed into bags and sold to hair extension makers in China and other countries. Real hair extensions may be inserted with a line of temporary colour for a wild look, or they could mix into a person’s natural hair. 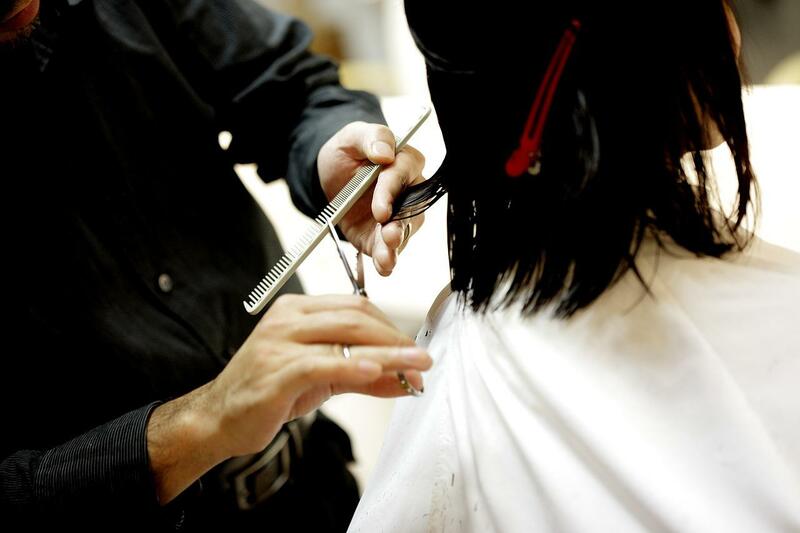 Men also use human hair extensions, especially if they are balding. In order to avoid looking unnatural and uneasy, always look for human hair extensions that are made by hand and style them accordingly. Many hair extensions use tape and are also called tape extensions and are considered safe to use. Synthetic hair extensions, on the other hand, are fibres and manufactured in a way to resemble the actual human hair. They can be either heat resistant or wear resistant and your choice to use any of them largely depends on the sensitivity of your skin. Women often have their hair braided alongside their heads in a coil outline, and strips of hair are then sewn right into the braids. These kinds of wigs are usually called weaves, as they’re weaved into the natural hair. Using hair extensions with weaves can further improve their overall look and feel if their colour is matched with the main hair on your head. Hair extensions or wigs which are died in slightly different colours may not look natural. It is always recommended to match the colour first before checking the quality of the hair. Hair extensions that come from the temple are considered the most expensive. Some estimates suggest that they can sell at as high as $700 per pound. It always depends on your budget and the need to buy such hair extensions or else you can also use hair extensions made from normal hair. Hair extensions made from temple hair are mostly used by celebrities and other wealthy people, however, they are not out of reach for the common individual, provided that they are ready to spend on their style and luxury. Above are some interesting and simple tips on human wigs and hair extensions. Feel free to look better this holiday season by using them. Style them, curl them and fix them in whatever way you can to look beautiful and confident.